Advance Directives are documents that state a patient’s choices about treatment including decisions like refusing treatment, being placed on life-support, and stopping treatment at a point the patient chooses. It also includes requesting life-sustaining treatment if that is wanted. Advance Directives are legal documents that allow a person to have control over health care decisions if he or she is not capable of communicating his or her wishes, or if a person no longer has the capacity to make decisions. These legal documents can state a patient’s choice about treatment, refusing treatment, being placed on life support, requesting life-sustaining treatment, and at what point treatment should be stopped. Through advance directives, patients can make legally valid decisions about their medical treatment. The Kansas living will is found in a statute titled “The Natural Death Act.” The statute allows any adult to sign a form (relating to him or herself only) which states that life-sustaining procedures should be withheld or withdrawn when decision-making capacity is lost and when such procedures would merely prolong death. Medical procedures deemed necessary to provide comfort or alleviate pain are not considered “life-sustaining procedures” under the act. For the living will or Natural Death Act Declaration to be effective, two physicians must personally examine the patient and determine that the patient has a terminal illness. The physicians must agree that death will occur whether or not the medical procedure or intervention is done. The form is not effective if the patient is pregnant. The living will must be witnessed by two adults who are not related to, will not inherit from the person making the living will and are not financially responsible for the patient. It may also be notarized. A durable power of attorney for health care is a document in which a person gives someone else the right to make decisions about health care for him or her. The person who would make the decisions is known as an “agent” and can be any adult except a physician or other health care provider (including people who work, own, or are directors for hospitals and other health care institutions) unless the health care provider is related by blood or marriage to the person signing the document. The powers which can be granted include: the power to make decisions, give consent, refuse consent or withdraw consent for organ donation, autopsy or the treatment of any physical or mental condition. The agent may also make all necessary arrangements for hospitalization, physicians or other care, and to request and receive all information and records and to sign releases for records. The person signing the durable power of attorney for health care can choose which of the above powers the agent will have. Specific instructions can be given. For example, a specific treatment may be prohibited. Requests for treatment, including life-sustaining care, can also be included. The special instructions allow the durable power of attorney for health care to be specific for each individual’s health needs. The health care providers must follow the agent’s expressed wishes. The agent may not revoke a living will made by the patient. Unless limited, the durable power of attorney for health care allows the agent to make decisions about withholding or withdrawing life-sustaining treatment in all types of illnesses (including comas or persistent vegetative states) and is not limited to terminal illness, except where the patient is a qualified patient under a living will. To be effective, the document must be notarized or witnessed by two adults who are not related to and who will not inherit from the person signing the document. You have the right to information about your medical condition, diagnosis, prognosis and possible treatments. You also have the right to refuse any treatment, including life-saving medical treatment. 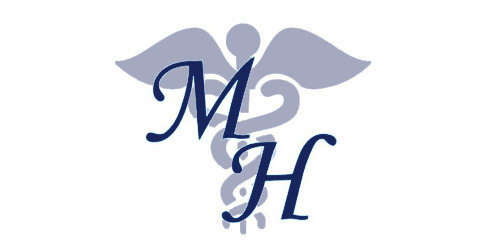 The Memorial Hospital social worker will talk to you about your rights outlined above and your right to make advance directives. You also have the right not to make advance directives. That is your choice. You may choose between a durable power of attorney for health care and a living will, or you may have both. The basic difference between the two is that the durable power of attorney for health care designates a particular person to make decisions for you when you are not able to decide for yourself and can cover all health care decisions. A living will states your wishes about withholding or withdrawing life sustaining care but only applies in limited cases. If you choose to make advance directives, the hospital may provide the necessary forms for making a living will or assigning a durable power of attorney for health care. If you have a lawyer or have already executed these documents, you should be aware papers signed at Memorial Hospital may revoke other powers of attorney you have in place. You do not need a lawyer in order to make an advance directive. However, legal advice is certainly appropriate. There are options other than the forms provided in the Kansas statute that are legal and can be used, including the forms developed by the agencies listed in this brochure. A living will and the durable power of attorney for health care may be witnessed or notarized. Although it is not necessary for the forms to be legal, it is recommended that the documents be both witnessed and notarized. This is in case you travel to another state that might require advance directives to be notarized. If you make advance directives, you should discuss them with your physician and your lawyer if you have one. Memorial Hospital staff will make copies available to him or her and all other doctors you deal with at your request. You should also discuss and share copies of your advance directives with your family members. It is always a good idea to keep copies yourself. If Memorial Hospital is aware of an advance directive, steps will be taken to alert your physician. Memorial Hospital will not condition the provision of care or otherwise discriminate against an individual based on whether or not the individual has executed an advance directive. If you wish to change your mind about your advance directives at a later date, you may do so. A living will may be revoked at anytime by destruction or in writing. A durable power of attorney may destroy the old durable power of attorney document. If a new one is assigned, the forms should again be witnessed and notarized. If you have any other questions regarding Advance Directives, please call Memorial Hospital at (785) 263-2100.